You must make reservations at least 5 minutes in advance of the time at C.F. Food Kitchen. Devonshire St and Woodley Ave.
CF Food Kitchen is a family owned restaurant focused in complete customer satisfaction. Our team takes pride on the product and service given to all clients. We believe in the use of fresh and high quality ingredients, our sauces and dressings are made from scratch and we do cut all our meat and fish products. 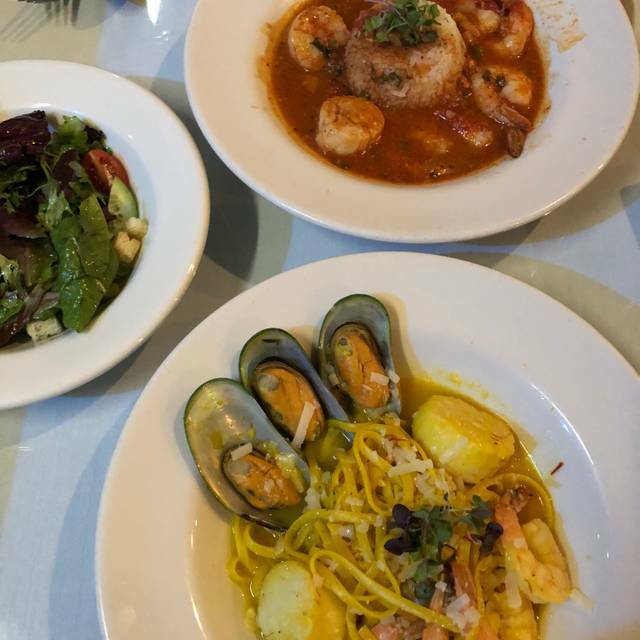 Come to visit us and enjoy our classic and eclectic dishes. Chef Flores. Pita bread and olive oil. Olives, cranberries, tomato, peppers, cilantro. Grilled onion, Provolone cheese and mayonnaise. Cajun fried with lettuce, tomato and remoulade. Remoulade sauce, red beans and rice. Creole mustard sauce, mashed potatoes and vegetables. Weekly specials. Comes with your choice of appetizer and dessert. Mashed potato, vegetables, mint demi. Mashed potato, vegetables and cabernet reduction. This restaurant is a lovely hole in the wall tucked into a non-descript small strip mall. But inside it's a cozy intimate atmosphere. The owners are super friendly. They will accommodate your every need. The food is wonderful and beautifully presented. We celebrated an anniversary there but you could easily go there for a slightly more special night out. If you've never been here you really should check it out. Probably our 4th visit to CF Food Kitchen. Food is always wonderful, service is always great. It's very good food and the price is very affordable. We also like it because the noise level is low and we can have a nice conversation without having to yell. I love this great little neighborhood gem! Chef Flores and his AMAZING wife Sylvia deliver the best quality dining experience in this corner of the valley! Very good pork chop, sea bass and key lime pie. My wife has a dairy allergy; which was a challenge. Daughter's birthday... so memorable The food was fantastic and the service was over the top!! Silvia was so entertaining and made our night !!! Loved everything about it - very surprising and delicious. Appetizers were great, fish was great, Wellington was over on temperature but tasted great anyway. Deserts were great. I know fine dining usually doesn't include kids, but I would go more often if there was a kids menu. This restaurant is an amazing little gem in the San Fernando Valley. The dining area is nice but the food is amazing and will for sure satisfy your culinary tastes. 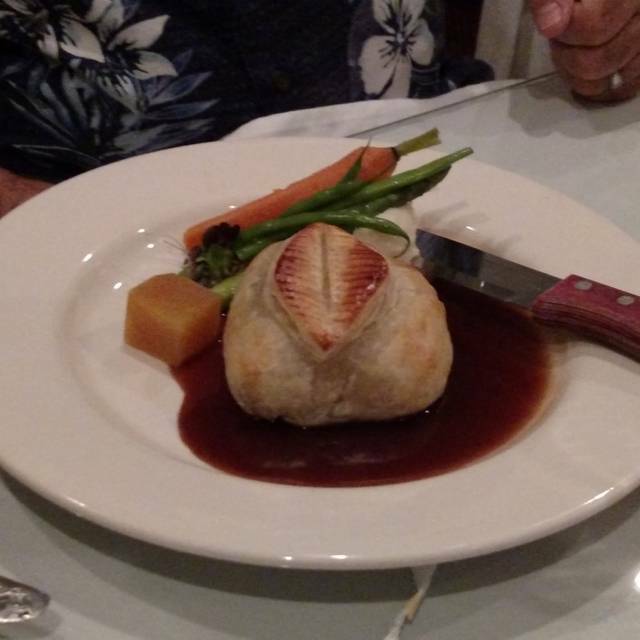 Beef Wellington smelled boiled and th me fried Brie was fried in the same oil as the crab cakes. It was not good food at all unless you like to settle for something mediocre pretending to be amazing. It was an absolute delight dining here with Sylvia as our server. She’s probably one of the best servers I’ve ever had ... ever! She’s attentive to our needs, a great balance between being friendly and professional, and appeared to be genuinely nice. The restaurant itself is just tiny, no overwhelming decors, nor elaborate menu. But everything was perfect! All our food came out exactly how we want them, and all delicious. It’s a great place for a get-together, a date night, or just for any reason at all. I like how it’s big enough to not feel claustrophobic, but small enough to have good conversations with everyone in your table. Highly recommended! Chef Flores constantly produces fantastic food. I have never been disappointed. Waitress is friendly and always helpful. It was a surprise find in the Valley. The perfect spot for the four of us friends to dine for our annual Christmas get together. Many choices on the menu. The food was great. Our waitress was very attentive. Great food, great service. Warm and wonderful owners. Had the pork chop and hubby had veal chop. Everything was delicious as always. Every time I have come here my experience has been wonderfully memorable. The food is incredible and I crave their beef wellington. The only problem is I have to get it every time! Though I have sampled some of their other dished which are also incredible. Every time I walk in the restaurant they remember me which makes me feel like a valued customer. Every person I have taken here has absolutely fallen in love with this gem. 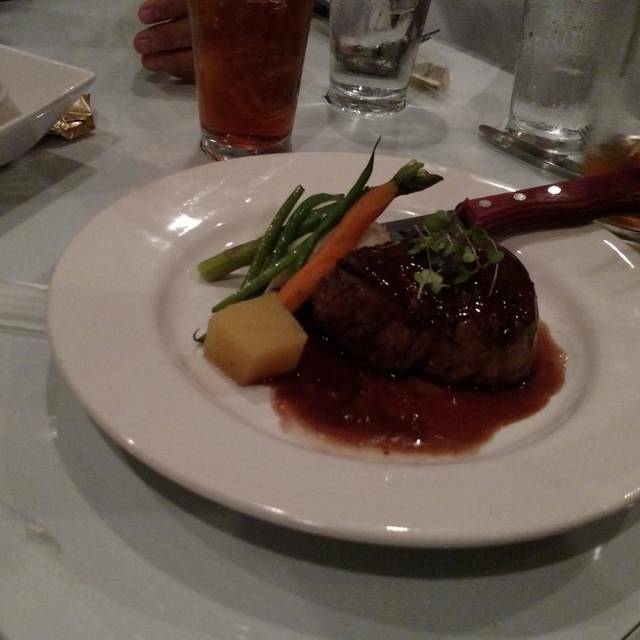 I was sad when i moved farther away from this restaurant, but make special trips just to dine here because it is so worth it! I highly recommend C.F. Food kitchen, you will not be disappointed! Just in love with this place. Thought about keeping it a secret, but more than that, we want the business owner and staff to succeed - what a special place!! We'll probably go weekly. Affordable quality. Supremely delicious. Wanna try it aaaaaall... Thank you, CF! Great food and service! The food at this restaurant is great. We were so surprised by the quality of the food! It was tasty, a decent value and the best service I have seen in a while. I cannot say how my wife and I were overwhelmed by the taste and quality of the food. All I could think about was going back with friends. Our waitress could not have been more attentive. She knew the menu and what to recommend. Being in a strip mall can be deceptive. 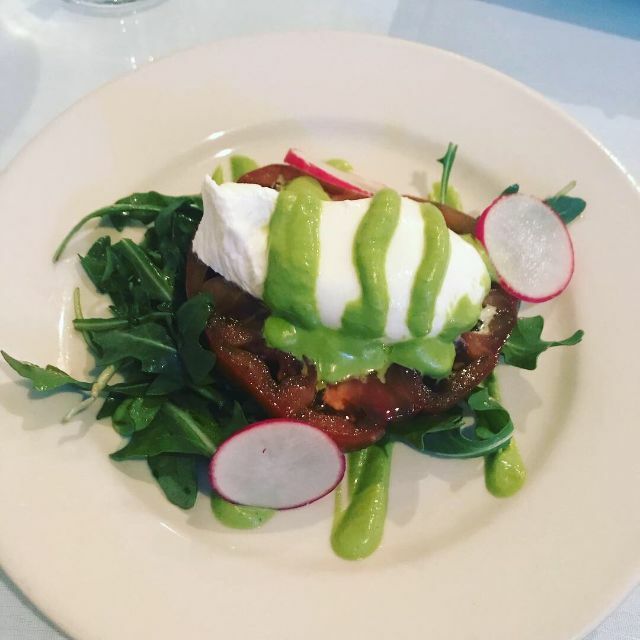 Feel adventurous and try Chef Flores creations, you'll be glad you did. great freindly service. high quality food. This restaurant is a hidden gem. If you’re interested in great food and service without trendiness and pretension then this place is for you. Our server made us feel like we were the only couple in the restaurant, even though she was responsible for all of the tables. She was fast, attentive, very friendly and knew the menu inside and out. The food was prepared and presented to perfection. I ordered the pecan and pear salad, lamb and fruit tart. My wife ordered the beef tournedo and cheesecake. My wife declared it the best meal she’s ever had. Don’t let the strip mall setting deter you. Inside is greatness. 2nd visit-still love the place! Salmon, filet, Wellington, lamb have all been outstanding. We’ll be back and our friends are bringing their friends. Staff and food are fabulous! We love this little gem in the San Fernando Valley. Our dinning experiences are always enjoyable. 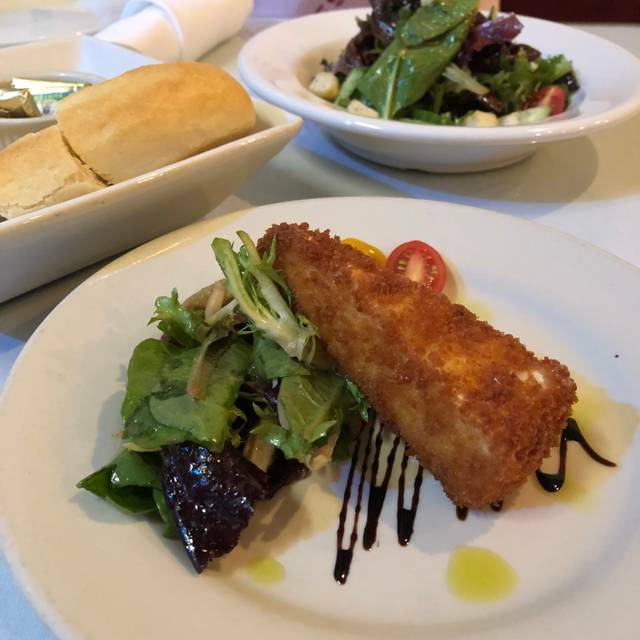 Great food, service, and a personal connection has formed through the years with the staff. They know our family and provide an atmosphere worth coming back to. Great place ! reasonably priced and the food is very good, Service is awesome! One of the people ordered the seafood pasta and was not happy. The amount of pepper was so strong her mouth was burning. She had the rest of us taste it to see if it was just her, and everyone agreed. They did take it back and attempted to solve the problem. Brought another couple here, long time friends. The food is outstanding and the service was good. I do wish they had some place to wait while our table was being readied. I am handicapped and cannot stand for over a minute or two without pain. They have a three course combo deal and we all got that, I highly recommend that, it is a great deal. You get a choice of starter, a main course with veggies and a dessert for around $30-40. 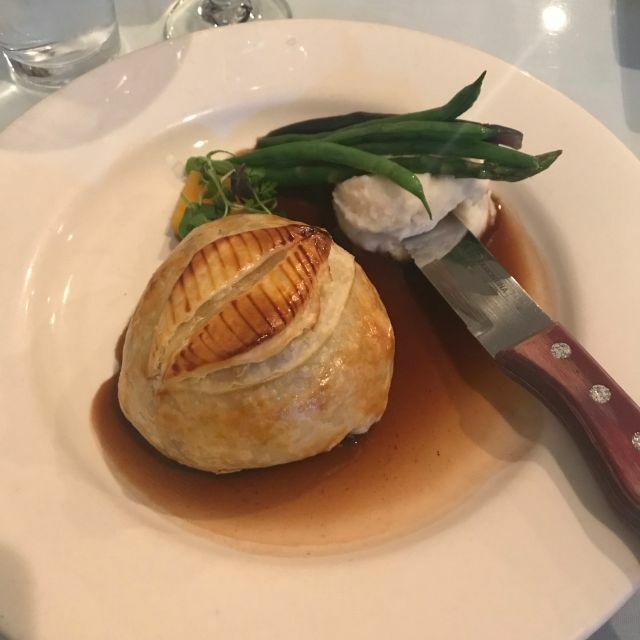 Three of us got the Beef Tournedos and one got the Beef Wellington, all were great. I got the Rabbit empanada as my starter and cheesecake for dessert. Great food, great conversation, we stayed for over 3 hours talking and enjoying the food. I love this place. The food is excellent and the service fabulous. Sylvia always makes you feel special. My favorites. Lamb chops, pork chop, Osso Bucco, salmon. Everything is fresh and perfectly prepared. If you haven’t been you must try it! Chef Flores (CF Kitchen) is from El Salvador but the cuisine is classically French. Our 3-course meal was delicious. The Pear & walnut salad was fresh & light. My Osso-Bucco was tender and the flavorful. The plate was full and pretty to look at. Sylvia, Chef's wife, served us and made sure the meal was presented in perfect time. Hate it when they try to rush you along! This was our first time but won't be our last. I have already picked out what I want next time - the Brie appetizer, Steak Diane and Whipped garlic potatoes. Key lime pie. Reasonably priced for the gourmet experience. Family owned and run restaurant in the corner of a mini Mall. A few small tables with clean white linens. Nothing fancy but the food is very good! Everything was great except the glasses of wine are served in a half pour. Neighborhood hidden gem! The food and service is always great this is a bust try restaurant. What a lovely little find! It's not usually an easy task to find something unique and delicious when I'm taking parents out in the area, but so glad that this place popped up on my radar. Brought my parents here for a belated birthday dinner, and had a lovely time. Overall, food was delicious without being too filling. Portions are on the smaller side, but is rounded out with flavor. 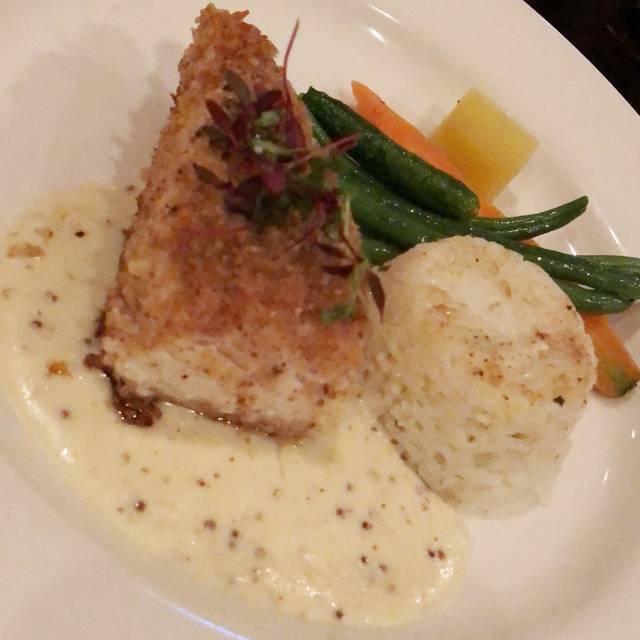 The Pecan Crusted Halibut was a little dry, but still tasty. Big Easy Shrimp & Scallops was great--but if you're not into spice, might want to try something else. It was fairly mild for me, but will pack a punch if you're not used to the heat. Been here several times. This time we had guests from out of town and they were very impressed. We are always proud to bring new people to this establishment. The server is amazing and always remembers our names. The chef is top notch and knows how to make meat tender (which most chef's don't know how to do). I highly recommend everyone to try it at least once! You might say it is pricey but once you are done with your meal and your experience you will say it was worth every cent and a great evening spent and enjoyed. I went in with no expectations and left with a high level of admiration for this great find. Outstanding food and service. Outstanding! The food was amazing and the service was friendly, attentive, and very helpful when answering my questions.